This band from Uruguay has links to Montreal, Canada and an Iron Maiden cover band called Up The Irons. 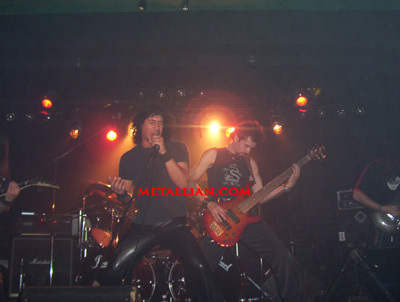 The heavy metal band was formed in 1985 by drummer Jorge 'Coco' Villar and guitarist Clemente 'Bhilo' Lopez. The demo Campos De Sangre was issued in 1986. Lamela was drafted in 1989. This revised version of the band relocated to Montreal in 1992 and released a 1993 cassette album Black Testament which actually was an English language version of the previous album. Today, a new copy of the Black Testament album is released in Brazil only.